China’s latest white paper on Tibet, once again highlights Beijing’s absolute lack of understanding of Tibet’s History and its unwillingness to read beyond government documents. China’s 60 Years of Environmental Destruction in Tibet. This out-rightly undermines Tibet’s glorious history and gives no credit for Tibetan people’s environmental conservation efforts for thousands of years. In fact, it was Tibetan people’s belief in the sacredness of its natural environment coupled with their profound wisdom and skill to co-exist harmoniously with its surrounding environment that has helped in the conservation of the world’s highest plateau until the Chinese occupation in 1959. According to a response to a whitepaper on Tibet’s ecology issued by the Central Tibetan Administration (CTA) in December 2018, it states “Historically, Tibetans have protected and respected their environment and have not only successfully adapted to the ever-changing climatic conditions of the plateau but also prospered there as a powerful civilization”. According to Tibetan historical records, environmental conservation efforts were carried out on a large scale as early as during the glorious Shang Shung period. The conservation efforts were further strengthened in the 7th century during the reign of King Songtsen Gompo, the 33rd emperor of Tibet. He issued edicts that reprimanded his subjects from harming and killing of animals. The founder of the Phagmodrupa Dynasty in Tibet, Tai Situ Changchub Gyaltsen (1302-1364), enforced an ingenious policy of planting 200,000 trees annually and appointed a forest officer to protect the newly-planted trees. Similarly, successive rulers in Tibet such as the 5th Dalai Lama and the 13th Dalai Lama issued strict prohibitions on hunting and felling of trees at important ecological sites. The cultural way of life in Tibet, which was greatly influenced by both Bon and Buddhist traditions, strictly forbid general public from commercial hunting. Successive rulers in Tibet issued strict edicts to ban hunting at several ecological sites during various periods of its history. Prior to 1950s, there were innumerable accounts of Tibetan merchants and pilgrims traveling through vast grasslands of the northern plains, seeing large herds of wild animals. 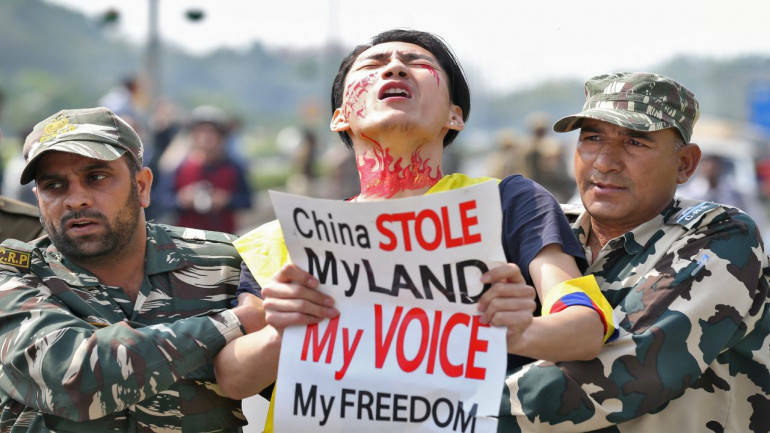 But with the Chinese occupation, Tibet witnessed sudden disruption in its age-old tradition of causing minimum harm to the natural environment and its wild life inhabitants. Many elderly Tibetans in exile have been eye-witness to People’s Liberation Army (PLA) engaging in hunting practices employing machineguns to hunt herds of wild animals during the invasion. Some PLA soldiers stationed in Tibet after the occupation often use dynamite in rivers and lakes to instantly catch hundreds of fish, a practice that Chinese officials followed even in 1990s despite strong objection from local Tibetan communities. Until 1949, Tibet’s the forest cover were one of the oldest reserves in all central Asia, predominantly found in eastern Amdo, south-eastern Kham and Kongpo region of southern Tibet. But the invasion of Tibet opened up the region to hungry Chinese state-logging enterprises. 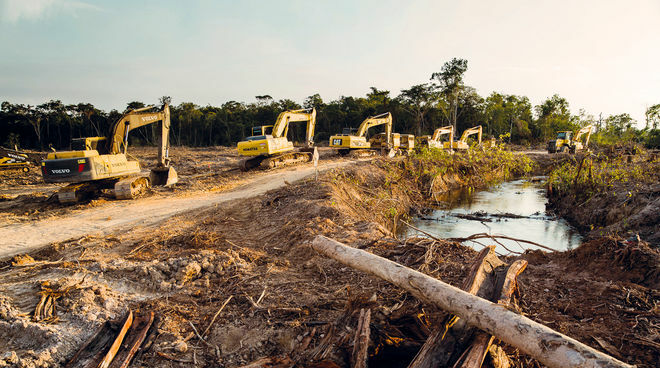 China has been one of the largest consumers of timber in the world, it inflicted unprecedented scale of deforestation across the region. Tibet’s forest cover was reduced to 13.57 million hectares from 25.2 million hectares, about 46% reduction between 1950 and 1985, with an estimate market value (2000 market estimate) of US $ 54 billion. The horrifying scale of logging in some part of Tibet lead to the 1998 Yangtze flood and the 2010 Drukchu flood. The 1998 Yangtze Flood in China was one of the worst floods in 44 years at the time. As per China’s official estimate, the flood killed more than 3000 people, displaced 15 million and affected 223 million people – almost one-fifth of China’s then population. A post-disaster study by Chinese scientists put excessive logging in the Yangtze valley, particularly in the Tibetan areas as one of the primary cause of the massive flood. 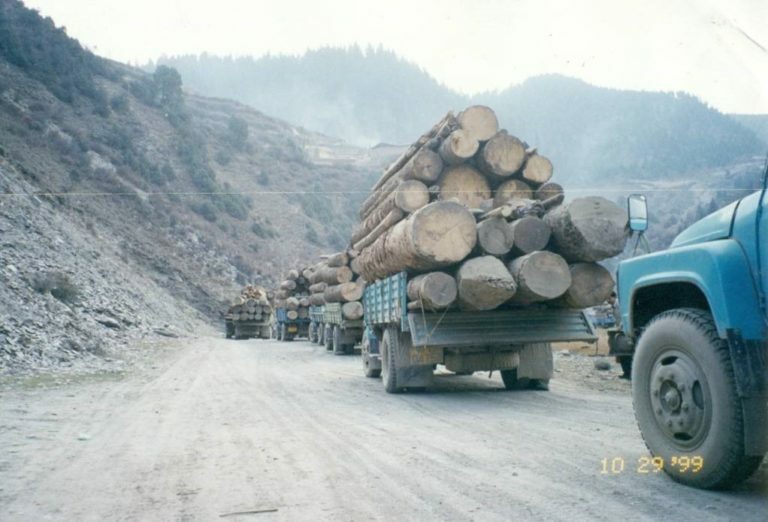 Between 1949 and 1998, the forests of eastern Kham generated US $241 million in taxes and profits for the Chinese state-logging enterprises. The extensive and unsustainable industrial logging continued until the disastrous 1998 Yangtze flood, but large scale deforestation still continues in many parts of Kongpo. This might have led to some of recent floods and landslides in the region. Tree logging was a major employer in Tibet, for instance in the Kongpo region alone, over 20,000 Chinese soldiers and Tibetan prisoners were involved in tree felling and transport. 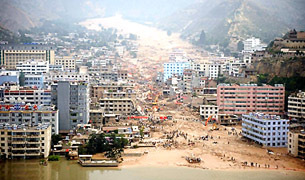 On 8 August 2010, landslides and mud-rock flow brought about by heavy rains occurred in Drukchu area of Amdo in north-eastern Tibet. As per a Chinese official report, the mud-rock flow leveled an area of about 5 km long, 300 meters wide and 5 meters deep in the county seat with more than 2 million cubic meters of mud and rocks flowing down the valley. This severely damaged the power, telecommunication and water supply in the region. The mudslides destroyed more than 300 homes and damaged another 700. Systematic and large scale mining in Tibet began in the 1960s with the expansion of Chinese presence in Tibet. China began surveying for mineral deposits in Tibet from the very onset of its occupation. Much of China’s infrastructure development in Tibet is aimed at speeding up of large- scale resource extraction in Tibet. The destructive and unethical methods of China’s mining practices has led to protests and disharmony across Tibet. Since 2009, there have been more than 30 known large-scale public protests against mining in Tibet as Chines mining companies continue to destroy grassland and pollute rivers. A lithium mining company called Ronda Lithium Co Ltd released toxic mine waste into a local river called Lichu in Minyak Lhagang in eastern Tibet, causing serious water pollution and mass death of fish. This brought hundreds of local Tibetans out on the street on May 4, 2016, protesting against the mining company.་ The local government informed the protestors that it had temporarily halted the mining activities, but locals Tibetans soon realized that the government has lied to them as continued operation at the mine were reported. This was not the first time or an isolated case of river water pollution. In 2013, the same river had been polluted with lithium mine waste, causing death of aquatic animals and threatening local drinking water. In a similar case on September 23, 2014, in Dokar and Zibuk villages of Lhundrup County near Lhasa, the Tibet’s capital city, more than 1,000 local Tibetans protested against the poisoning of their river by the Gyama Copper Poly-metallic mine. The mine is located close to a river that locals use for drinking water, irrigation and feeding animals. Xiang, a Chinese scientist firmly stated that many mining and processing sites in the valley pose a great environmental concerns as the deposits contain large amount of heavy metals, such as lead, copper, zinc and manganese etc. Further stating that the deposits are prone to leak its contaminants through seepage water and erosion of particulates, and therefore posing a future risk for the local environment and a potential threat to the downstream water quality. China claims that they are spending millions in environmental conservation projects in recent years, but they have earned billions more from mining and other resource extraction activities in Tibet. For example, a 2019 Production and Operating outlook released by China Gold International, it states “Copper production from the Jiama Mine increased by 54% to 55,025 Tonne (approximately 121.3 million pounds) from 35,844 Tonne (approximately 79.0 million pounds) for the same period in 2017.